Forest Security, Inc. is the preferred choice for customers throughout the Greater Chicago Metropolitan Area when they are in need of the best home security systems. Families who are seeking residential security regularly choose our family-owned and operated wireless security systems for their homes. They are well-aware of the exceptional and valuable home security systemsForest Security installs. In fact, we have been responsible for delivering three and a half decades worth of the best security systems in the industry. We are unquestionably a leader in wireless home security systems for our Chicagoland clientele. Our capable high-tech experts possess more than a century’s worth of combined professional experience in the home security systems’ industry. As a result, whenever our neighbors from Highland Park are interested in having us install the best home security systems, Forest Security is the only name they need to know. 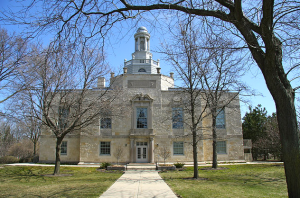 Highland Park , Illinois has nearly 30,000 residents and is in Lake County. Forest Security is approximately 24 miles south of Highland Park . Highland Park customers understand that we are the best in the business. We have the background and experience necessary to provide the kind of safety and comfort our Highland Park customers deserve. They can rely upon our Forest Security to ensure that the wireless home security systems we install at their Highland Park residences will suit their specifications, their standard of living and their budgets, while providing them with the safety and protection to which they are entitled. With the sophisticated electronic detection and wireless home security systems we install, we will customize the perfect home security systems our Highland Park customers want at a price they can afford. Furthermore, before our technicians even come onto our customers’ properties to install wireless home security systems, they already have a minimum of five years of field experience under their belts, in addition to being fully licensed and trained. Actually, the trained specialists employed by Forest Security are recognized for having enhanced round-the-clock alarm response time as well as providing maintenance and service calls when the occasion arises. Customer satisfaction continues to be our top priority. As the preeminent provider of home security systems in the region,Forest Security has a variety of reasonably-priced home security systems packages available. These wireless home security systems packages consist of expert installation, state-of-the-art technology, smart-phone accessibility and unparalleled customer support! Call Forest Security , Inc. at: (708) 452-2000, today for your FREE, no obligation consultation and price quote.